Putin on revision of Sentsov verdict: "Appropriate conditions should ripen"
During the meeting of the Council for Culture and Arts and of the Council on the Russian language of the Russian Federation in St. Petersburg, Russian film director Alexander Sokurov appealed to Russian President Vladimir Putin to reconsider the verdict of Ukrainian citizen Oleh Sentsov. Putin refused, citing the fact that "in a Russian way and in a Christian way" this would be impossible without a court ruling, Rosbalt reports. "He has been convicted not for his art work, but for the fact that he had undertaken a whole other set of functions, as the investigation and court claim. Namely, he actually devoted his life to terrorism," said the Russian president. "In a Russian way and in a Christian way, we cannot (act) without a court ruling. I will say it again: no one convicted him for his views and position," said Putin. According to Putin, "the court ruling has been handed down," and "there are certain rules and regulations that we can use, but "the appropriate conditions" need to "ripen" to this end, RIA Novosti wrote. 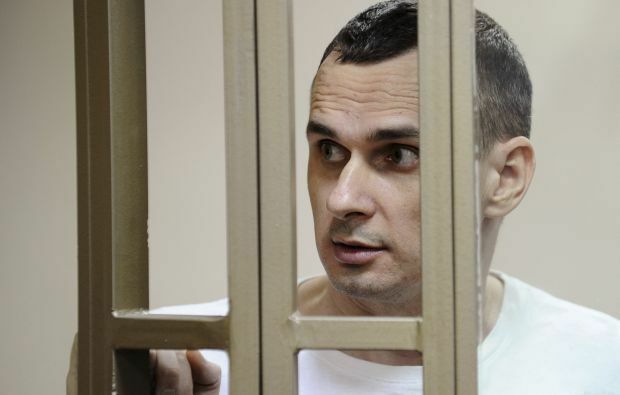 Read alsoRussia refuses to return Sentsov to UkraineAs UNIAN reported earlier, Ukrainian film director Oleh Sentsov was detained by the FSB in Crimea in the spring of 2014. He was then transferred to Russia, where he was tried on trumped-up charges of setting up terrorist attacks and arson at the office of political parties in Crimea. The Russian court on August 25, 2015, sentenced Sentsov to 20 years in a high security prison. The Ministry of Justice of Ukraine has requested to transfer Sentsov to Ukraine as he is a Ukrainian citizen. On October 21, Russia refused to extradite Sentsov to Ukraine, claiming that he is a Russian citizen. In fact, Russian citizenship has automatically been imposed on him as it happened with the majority of the Crimean population.